I always try to plan ahead of the holiday season but every year it sneaks up! 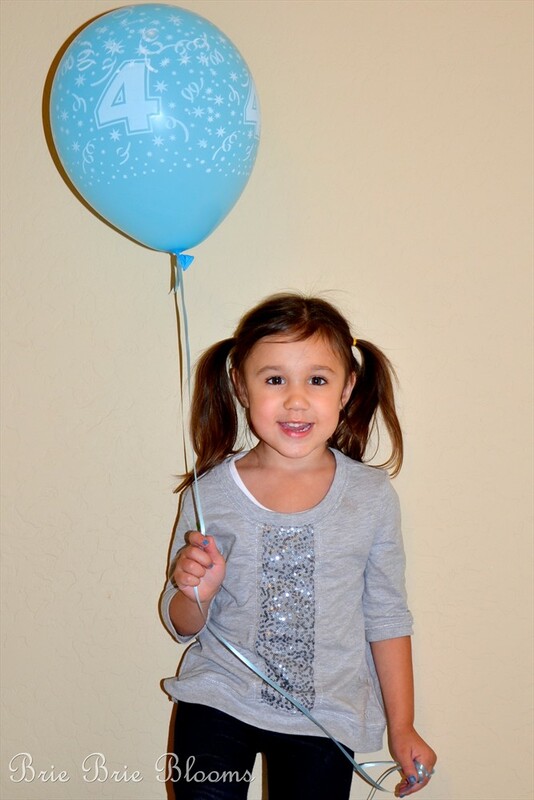 We had a few events approaching and I needed to purchase clothes for my daughter. Unfortunately with a very busy December schedule I was having difficulty finding the time to make it out shopping. Luckily I discovered Cookie’s Kids, the online kids department store! Cookie’s Kids has been in business for 40 years and originally began selling toys in New York. The toy store was so successful in their first year they were able to add clothes to the inventory. With even more success the store added school uniforms, shoes, and even accessories. 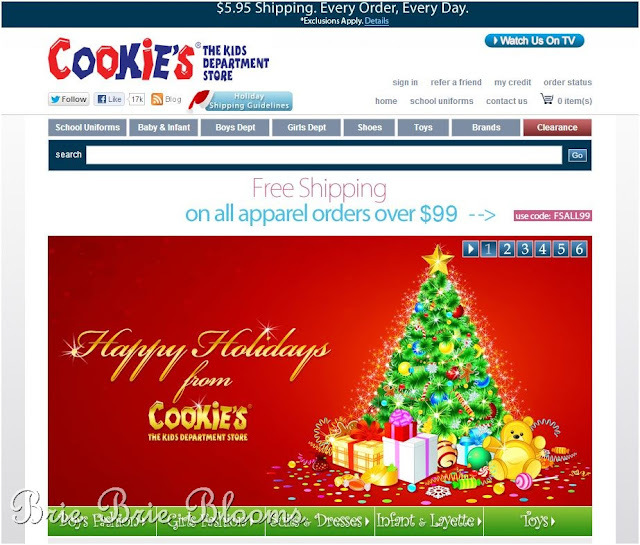 The online store was launched in 2007 and offers the entire Cookie’s Kids inventory. They currently have 7 stores in the NYC area in Bronx, Brooklyn and Jamaica as well as the online shop. The first thing I noticed on their website was the low shipping costs. It’s only $5.95 per order every single day! Or if you have a lot of shopping to do (over $99), your order ships free. 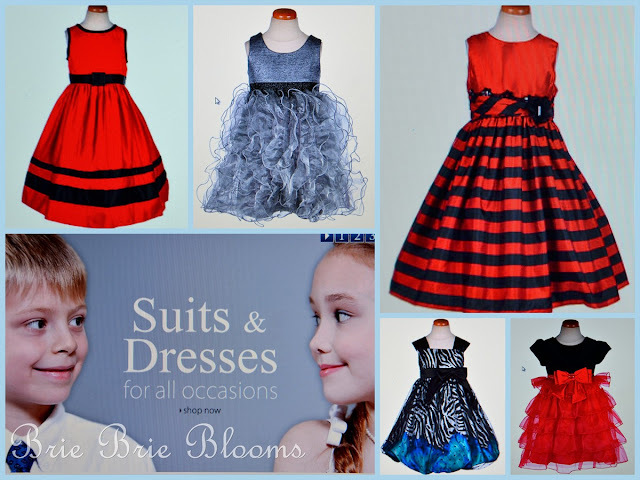 With a few holiday parties in mind, I browsed the dresses. Wow, they were so pretty! And the prices were extremely low! Where else can you buy a dress as pretty as these for under $30? Although I absolutely adored the pretty dresses, our holiday events are not formal. I checked out some casual options and found so many sparkly tops and adorable sets. I love, love, love the set with the attached leg warmers! My biggest problem with online shopping is the size variation in kids clothes. I never buy pants online for my daughter because she is taller than average and with out seeing the clothes in person, they rarely ever fit. Pants purchased online are either too big in the waist with a perfect length, or too short with a perfect waist. 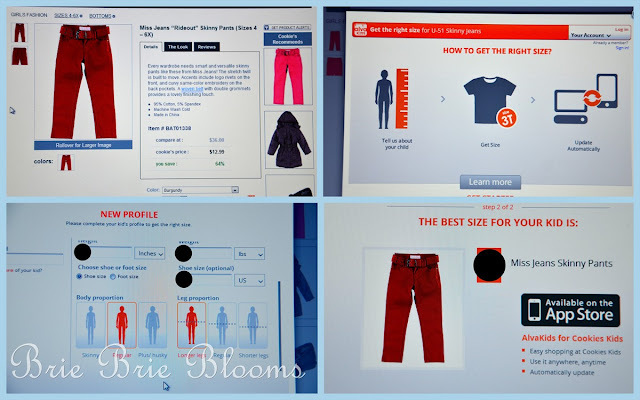 Problem solved – Cookie’s Kids has an app on their website customized to every item that helps you select the right size. Wow! It’s easy to use and definitely helped me make a good decision. With $5.95 quick shipping, our package arrived in time for my daughter to wear a new holiday outfit to one or our events. The Miss Jeans “Rideout” Skinny Pants and Cherry Stix “My Shine” Dress paired together very well. I love that the dress can go also with leggings or be worn as a dress in the spring when the weather warms up. The pants and belt can be worn hundreds of different ways with tops we already own. She also had a sparkly new shirt to wear to her fourth birthday party! The Skechers “Dance Line” 2-piece top fit perfect! 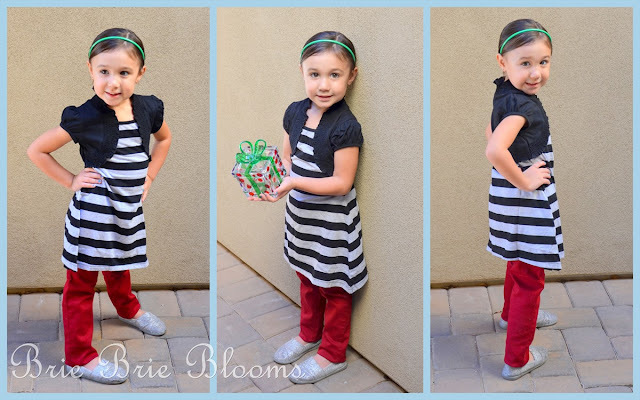 Cookie’s Kids made shopping online for kids clothes fun and easy! I will definitely be shopping here again! I’m excited to share a discount for my friends. Use code “briebrieblooms” at checkout for an extra 10% off sitewide until December 21, 2012. Perfect for last minute holiday outfits and gifts! To see daily deals and learn about new products offered online, connect with Cookie’s Kids on Twitter, and on Facebook. 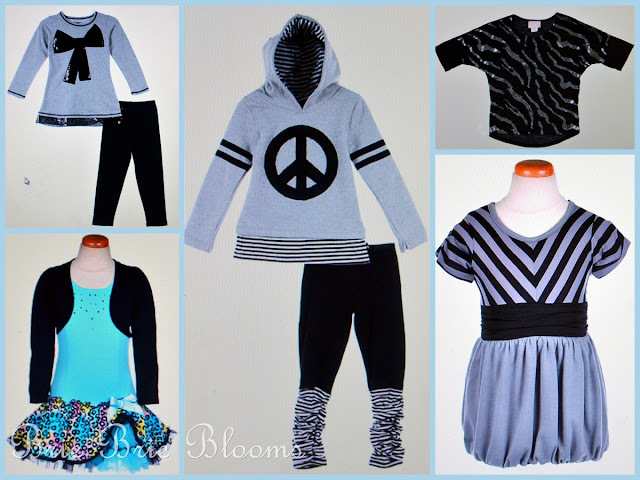 If you’d like to see more photos of my online shopping experience, take a look at my Shopping for Kids Clothes Online with Cookie’s Kids #Cbias #CookiesKids #SocialFabric Google+ Album. Adorable. She looks great. I’m so impressed by how affordable the clothes are. Thanks. I was amazed by the low prices too! !